Everywhere around the world, Whovians held their breaths and tuned in to the series premiere of Doctor Who, debuting the new regeneration of the Doctor played by Peter Capaldi. Twitter quickly exploded with Doctor Who trending worldwide, and for good reason. Spoilers below. First, "Don't blink." Now, "Don't breathe." 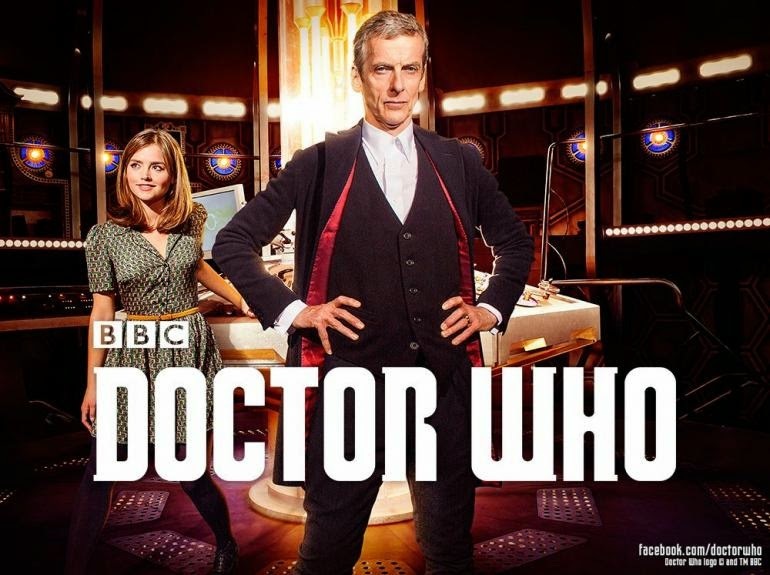 In the words of Madame Vastra, "Well then, here we go again…"
It is inevitable that a season premiere of Doctor Who will have fans on their feet, especially one with a new Doctor. However, in contrast to David Tennant and Matt Smith's 10th and 11th Doctors, Capaldi is left to find his identity and mind. He comes across very distant and moodier than his past incarnations, stating that he has made many mistakes in his past, but its time he'd do something about them. Nothing quite beats a giant T-Rex stomping through London choking on a giant blue time machine, creepy robot people, and a Scottish Time Lord on a rooftop yelling at the spontaneously combusting dinosaur. You know things are going to get interesting. The newly regenerated 12th Doctor must now figure out how to stop a combusting dinosaur (which actually is killed within the first 20 minutes)—and why there is a dinosaur in London in the first place—with the help from his trusty companion. However, after his regeneration, everything changes. "Deep Breath" doesn't open with a recap of the Doctor's regeneration, which will be confusing to newcomers. After 50 years and 12 Doctors, showrunner and writer Steven Moffat reinvented the Time Lord, delivering a darker tone and taking romance completely off the table. The first hour seemed to drag on a bit, and it is disappointing that the episode was seemingly much quieter than fans may have expected. When the Doctor and Clara find themselves in a restaurant with a crowd that isn't actually breathing, the action doesn't build up quite as you'd hope. The clockwork creatures in this episode aren't exactly memorable, but they were definitely creepy in the sense that hey, you could actually breathe around Weeping Angels! Don't blink or breathe, this show just got pretty demanding! That aside, we know with any premiere of a new Doctor, the attention will of course be on the Doctor establishing his identity. Showcasing Madame Vastra and her wife Jenny, along with their butler Strax, tied the storyline together with some comedic release from Strax who still doesn't quite understand human anatomy. I actually laughed pretty loud when Vastra and Jenny dramatically dropped down Cirque Du Soleil-style before Strax just hard landed on the ground. Peter Capaldi is a brilliant Doctor and so far seems to be very promising. Lets not forget the Matt Smith cameo that surely played with our emotions. "Give him hell, he'll always need it." Completely brilliant. Catch Doctor Who every Saturday at 9 p.m. on BBC, and remember, Earth will forever be known as "Planet of the Pudding Brains." Did you enjoy the premiere? (It's OK, you can breathe now). How do you feel about Capaldi as the 12th Doctor now that we've begun to see where he has taken the role? Let us know in the comment section below.